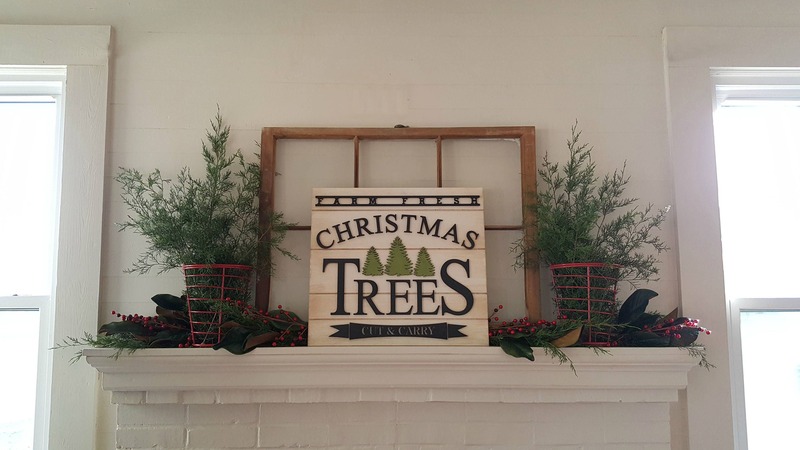 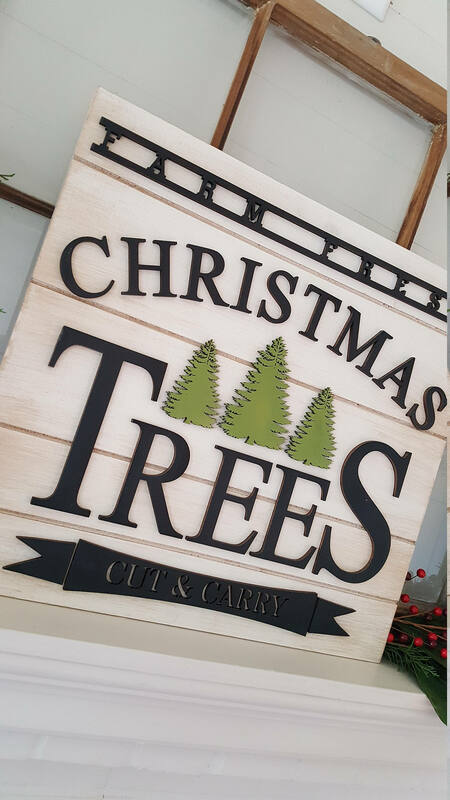 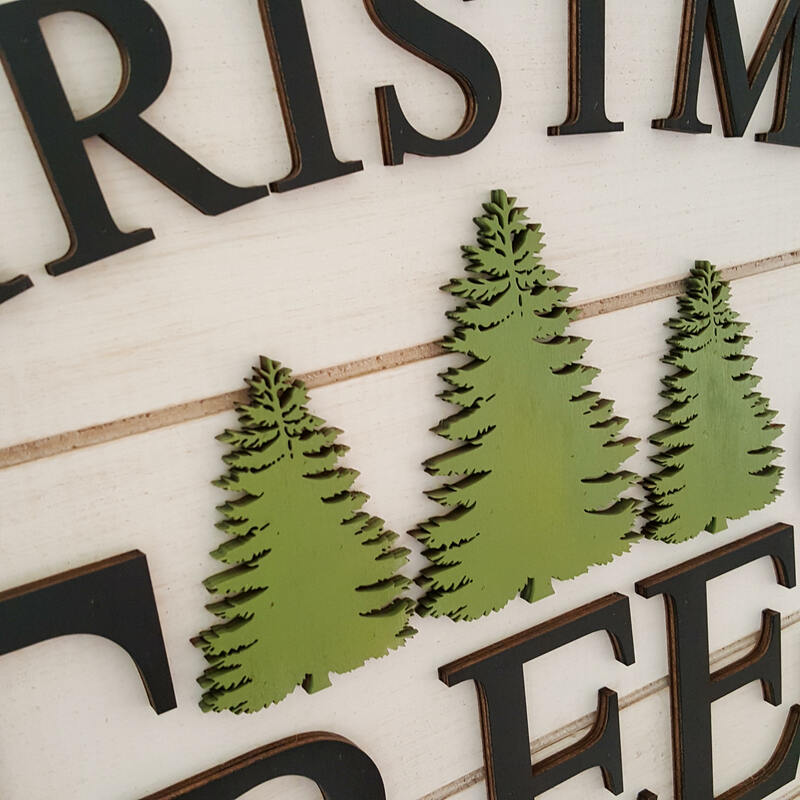 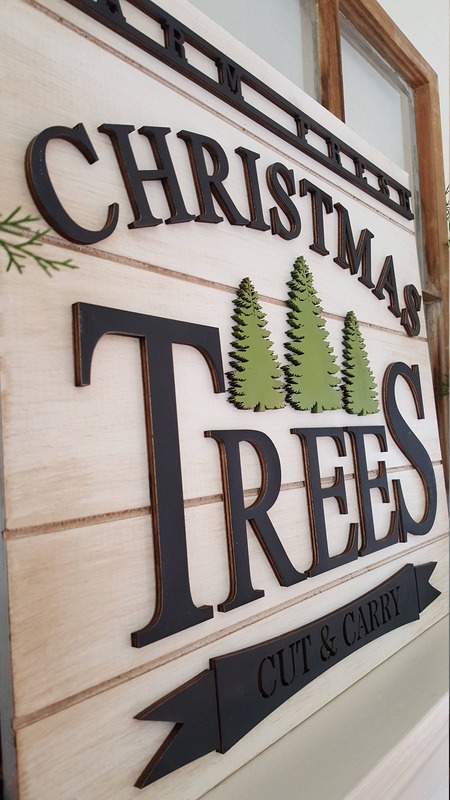 Christmas Tree Farm Sign - Designed to lean or prop for display. 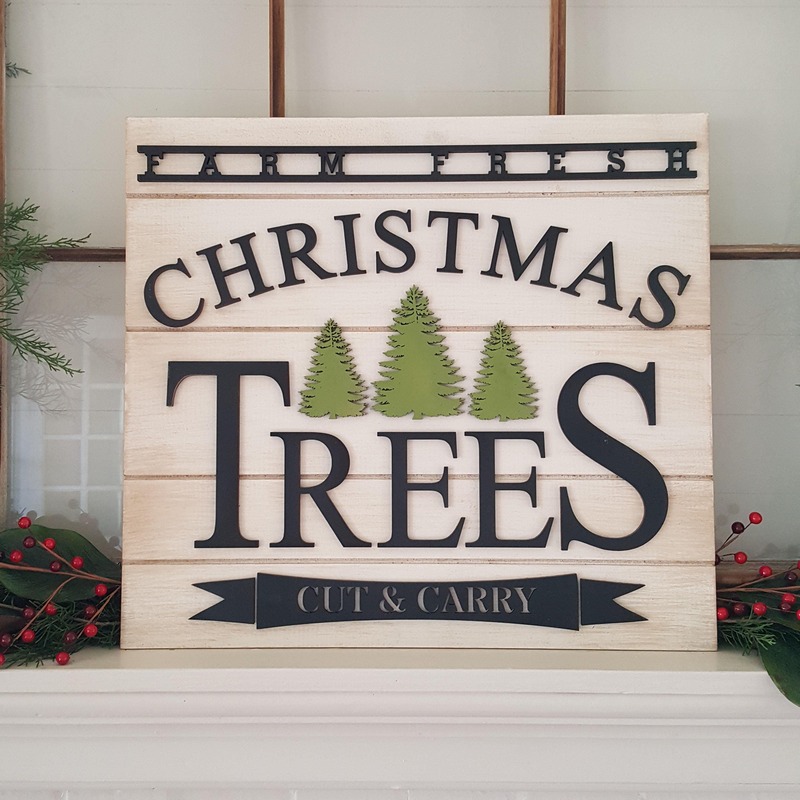 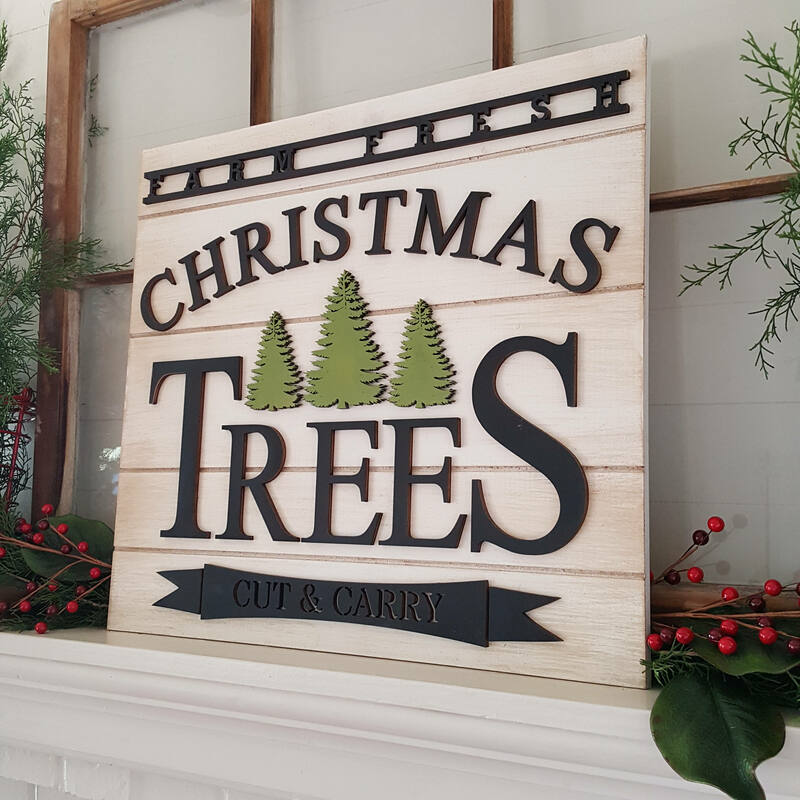 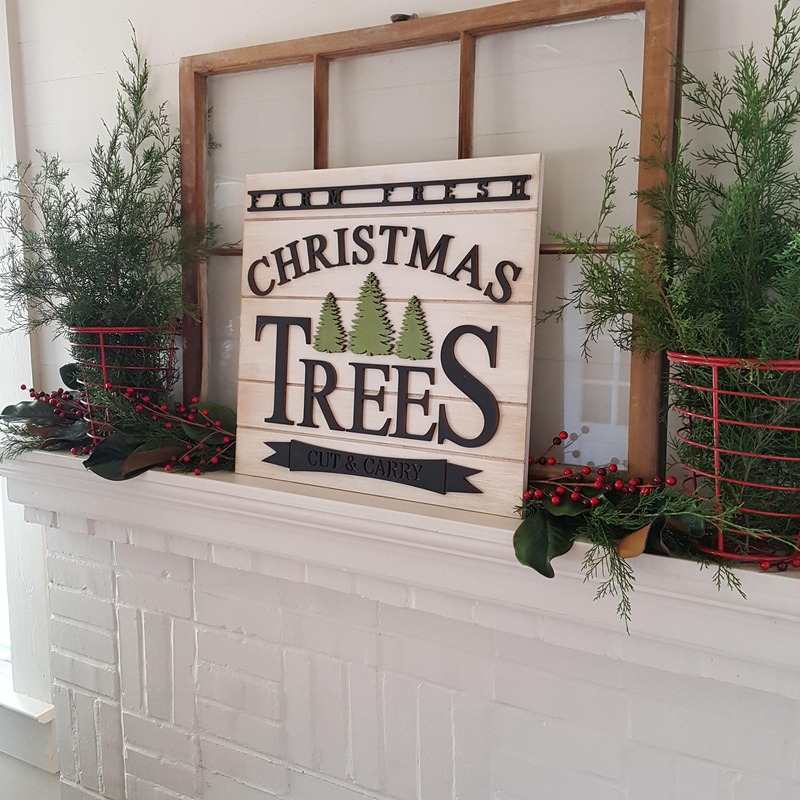 Our wooden Christmas Tree Farm sign is a fun focal piece for your mantle, hearth, leaning by your Christmas tree or any other spot that needs a touch of Christmas cheer! 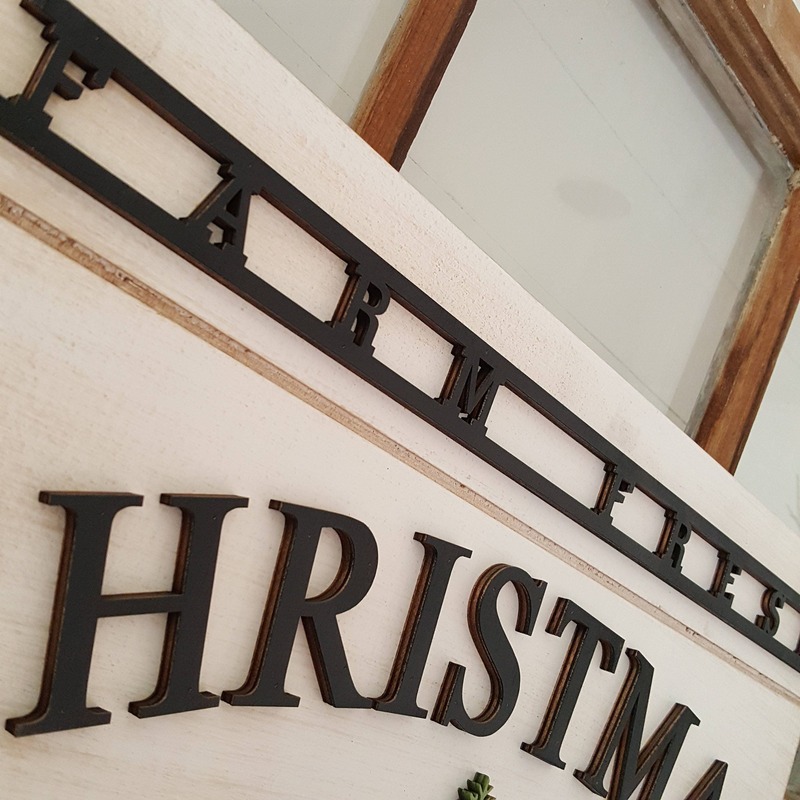 The farmhouse-feel of the slat background and the wooden words and trees make these pieces so unique and beautiful. 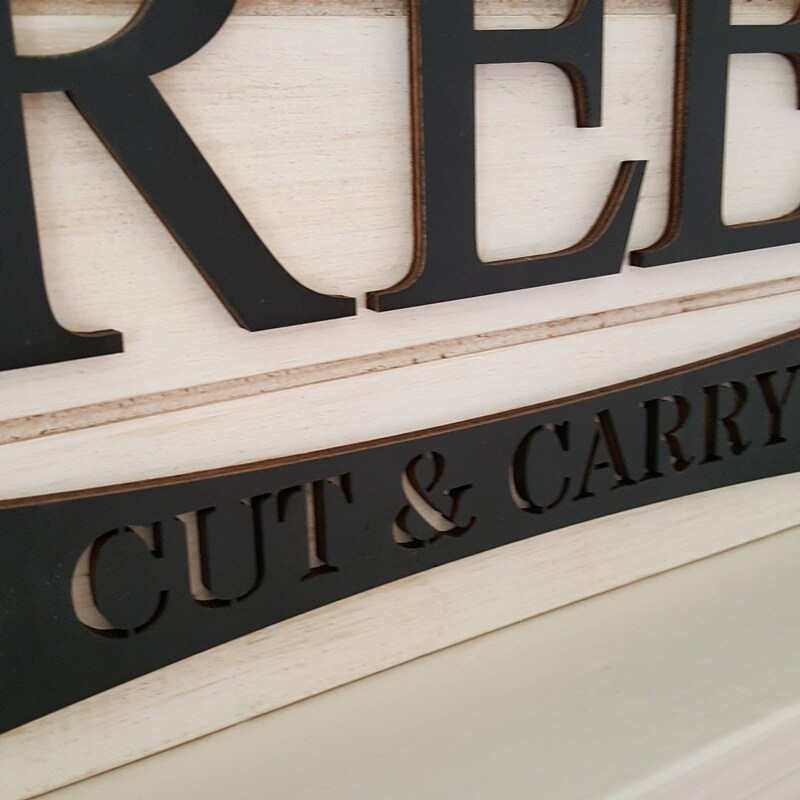 Just lean or prop the wooden piece for display.